Experience a transformation in the way you keep your London home or commercial premises clean. Fast Cleaners Lewisham offers a wide range of cleaning services in London including bespoke cleaning solutions that you can request using the quotation forms hosted on our website. Highly efficient employees who we handpick for their specialist talents in different cleaning fields deliver the services we offer. Let your business space look inspiring by using our London commercial cleaning services. We cover small offices as well as big corporate companies with hundreds of employees. We also clean educational institutes, health centres and any other type of commercial establishment in London that requires a cleaner. Our services are precisely tailored to provide pristine working conditions that will increase the productivity of your workplace by a huge margin. We have solutions for hardwood floors, woollen carpets, draperies, glass windows, leather and soft furnishings. 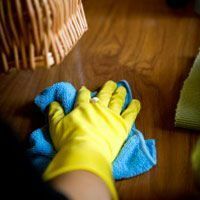 We understand the importance that you attach to your business operations and to avoid any disruptions, we always schedule the cleaning at a time that is convenient for your business and our employees alike. The cleanliness of your windows speaks a lot about the general cleanliness of your home or business. Windows can enhance or kill the curb appeal of your home. At our cleaning company, we strongly believe in giving you sparkling windows that enhance the curb appeal of your home or office. We we have specialized staff and equipment capable of cleaning the windows on your bungalow to the glass windows on your high-rise office space. We offer professional housekeeping services. We will transform your home into a place you want to come to at the end of a long day at work. Our pride lies in offering house cleaning services that go way above your expectations. By signing up with us, you are signing up to the cleaning service that guarantees you gratification. We pay attention to every intricate detail of your home. We will wipe dust from your window seals, unclog the sinks and wipe moss from the attic walls. We only include the most professional and experienced housekeepers in our task force and ensure that everyone is insured against losses that may result from accidental breakages inside the property. Our carpet cleaning services aim for one thing in particular – to prolong the life of your carpets to the longest they can last. We use the latest and safest state-of-the-art equipment to clean and remove stains from your carpets. Get rid of dust mites and animal fur from your carpets by working with our supreme cleaners. In addition to cleaning carpets, we will also take care of your upholsteries, rugs and draperies. With our carpet cleaning services, you will never need to worry about your family catching sneaky respiratory diseases from dust mites. We are always open to offer tailored cleaning services and cleaning prices to all our clients around London. Do you have a specific cleaning need that you would like us to handle? If you do, feel free to call us on 020 3322 8493 and we can discuss your cleaning needs and concerns.